There are currently 114,583 users on this website. Any idea of how to classify this penny. to CCF. Yes,too much glare You need to use only one light source and probably filter that one. Difficult to assess from this pic. If you're thinking its a Doubled Die, it's not. 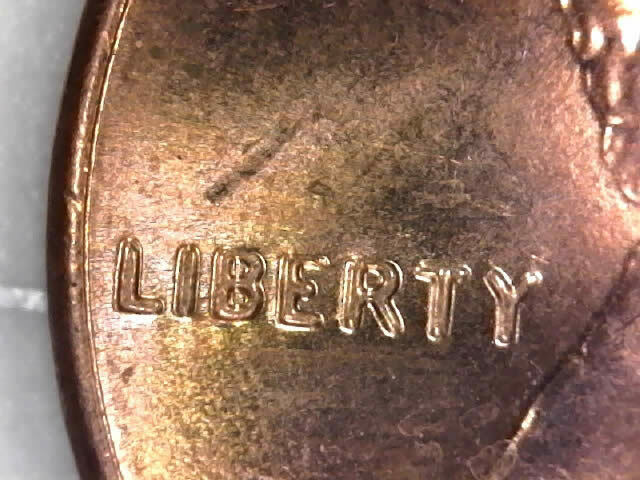 I get this a lot when looking at coins under the scope. I came up with a solution. I place the coin on the back side of a business card, and slide it onto the microscope. If I see this pattern, I will slightly raise the card to change the angle of the coin to the light and scope. It usually goes away.